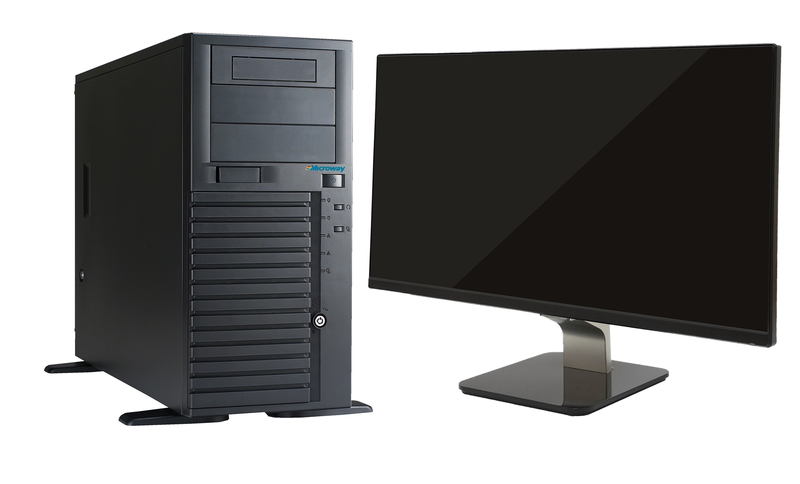 Designed from the ground up for data analysis and statistical research using R, the WhisperStation-R features up to 56 processor cores, 1.50 TB memory, fast & large-capacity storage, NVIDIA® Quadro® professional graphics, ultra-quiet fans & power supply, and up to four high-resolution monitors. WhisperStation-R is available with 64-bit Linux and/or Windows operating systems. It can be custom-configured to exact user specifications, including large memory, large storage, and software tools & libraries. In addition to RStudio with Microsoft R Open, it is available with tools including the Portland Group (PGI) compilers, the Intel Compilers & Performance Tools, and NVIDIA CUDA. Need more compute power? Multiple WhisperStations can be linked together for a low priced, quiet HPC cluster running R.
Quiet! Most configurations are barely audible when placed beside your desk. Energy-efficient. Compatible with standard home and office electrical outlets. Reliable! Customers commonly use WhisperStations for 5+ years.